Senate President Pro Tem Tim Ashe strongly supports raising Vermont's minimum wage to $15 an hour over a period of years. 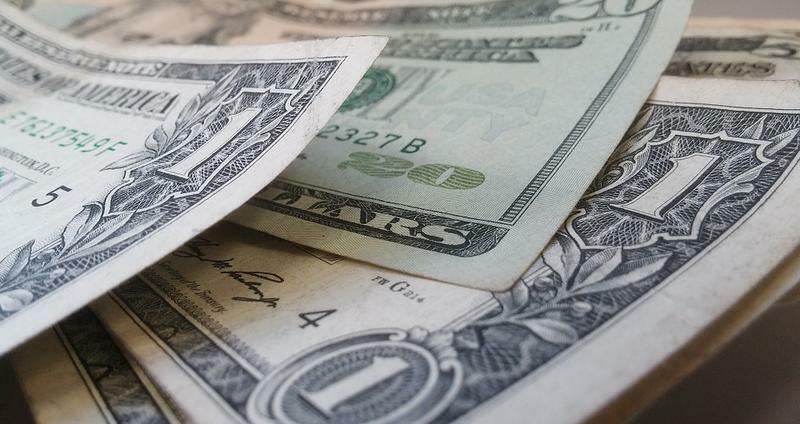 The Vermont Senate could vote in the next few weeks on a bill that raises the state minimum wage from the current $10.50 an hour to $15 an hour over a period of several years. The legislation is a top priority for Senate President Pro Tem Tim Ashe, but the plan is opposed by Gov. Phil Scott. On Thursday from 6 p.m. to 8 p.m., the Senate Committee on Economic Development, Housing and General Affairs will hold a public hearing on this bill at the Statehouse. In many ways, the legislation highlights the sharp differences between Senate Democrats and the Scott administration over policies to strengthen the Vermont economy. Ashe says the bill is needed because he says it's incredibly difficult for anyone to make ends meet on a salary of roughly $22,000 a year. "When many people talk about the problems of income inequality, which is very real, one of the simplest strategies we can deploy is raising the minimum wage and doing it in a thoughtful way that won't be too disruptive to the economy,” said Ashe. And Ashe says passage of the bill will be good for the state economy. "It really is worth noting that if tens of thousands of low-wage workers in Vermont have more cash in their pocket, they are going to spend it," said Ashe. "So overall in the economy what you're doing is a lot of disposable income starts going out to pay for other goods and services which is in general good for the small business economy." But Scott has a very different view on this issue. He says the bill isn’t needed because Vermont’s minimum wage rate is now linked to inflation. "While I would like every Vermonter to make more money, become more prosperous, I think this is the wrong approach,” said Scott. “I think this is an artificial inflation of wages which will result in more costs, higher cost of living for Vermont." Scott says the plan will also have a negative impact on the state's small business community. He notes that 90 percent of all businesses in Vermont have fewer than 20 employees, and he thinks raising the minimum wage will force some of them to reduce their workforce. "Many of the small businesses in Vermont would have to make decisions about whether they reduced hours, whether they reduced jobs, whether they just work more hours themselves. ... And this will have a dramatic effect on what they can provide for jobs," said Scott. And the governor says the legislation will also exacerbate problems along the Connecticut River. "We already are very stressed in terms of trying to compete with New Hampshire — no sales tax, no income tax — and for us to artificially raise the minimum wage ... when they do not, puts us at a severe disadvantage," said Scott. Ashe acknowledges that the legislation could have an adverse impact on some small businesses but he says the benefits of having a higher minimum wage are worth it. "While it is true that there may be some instances where positions aren't filled or some work hours are reduced, for the tens and tens of thousands of Vermonters whose income will go up overnight, I think the trade is a very worthwhile one,” said Ashe. Vermont's business community is also split on this issue. While Vermont Businesses for Social Responsibility supports the bill, the Vermont Chamber of Commerce opposes it. Citizen legislators from across Vermont return to the Statehouse Wednesday morning for the second half of the legislative biennium, and many lawmakers are preparing for an unusually busy year in Montpelier. The political battle lines are taking shape in what will likely be one of the more contentious policy debates of the 2018 legislative session. Senate President Pro Tem Tim Ashe says raising the state minimum wage to $15 an hour will be one of his top priorities for the 2018 legislative session.